For a fun twist on wristbands, check out our rubber rings. Much smaller than silicone wristbands, these fit around your fingers as comfortable, fashionable rings. Silicone rings have become popular as a flexible and safe alternative to wear while working, playing, and evening working out. They can be used as a fun fashion statement, thumb bands for no texting, and the ever popular vape band. Amazing Wristbands offers one of the largest varieties of colors and options available. 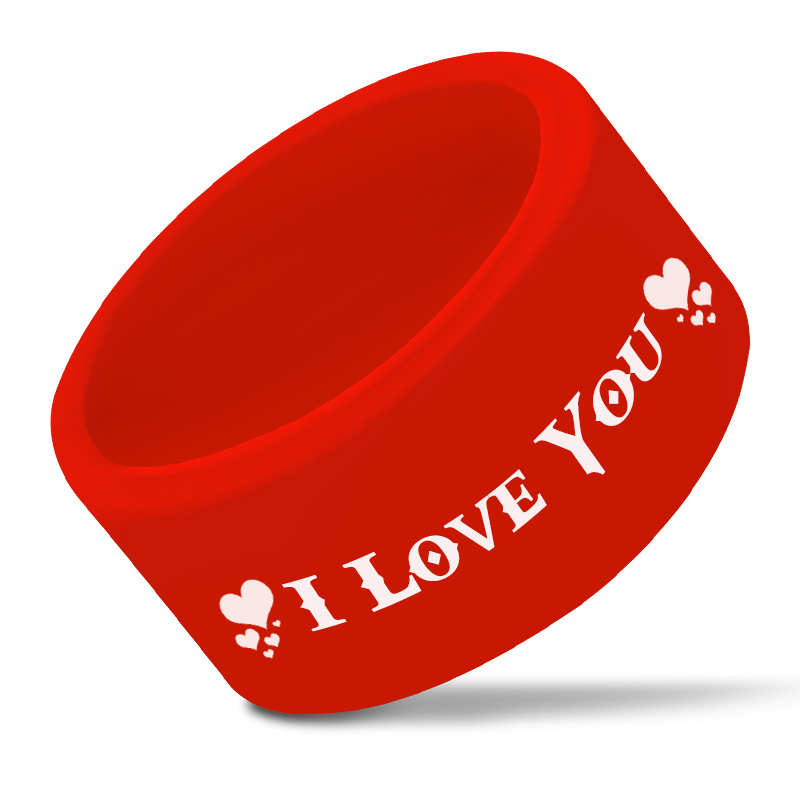 You could even customize your own silicone wedding bands with personalized designs and inscriptions! Silicone rings can be used to raise awareness of an important cause, promote events or products, or to make money for your school, team or group. It can also be used as Vape Rings, E-cig Rings or Vapor Rings. Medium Size is the Standard Size for Vape Rings. *** Please note: All screen print prices offered in our online design tools are for 1 (one) color screen print only. Additional colors are charged per color based on each band type and size. Our unique and fully customizable silicone rings are available in a variety of colors and text styles. All of our rings are comfortable to wear, durable, and made of high quality silicone and latex-free. You can customize your rings with a logo or message.